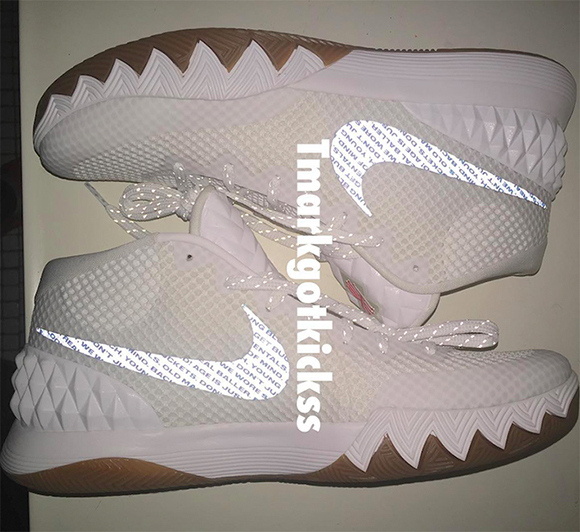 Only two pairs were made of the Nike Kyrie 1 ‘Uncle Drew’. One is owned by the man himself, Kyrie Irving and the second belongs to sneaker collector tmarkgotkickss. 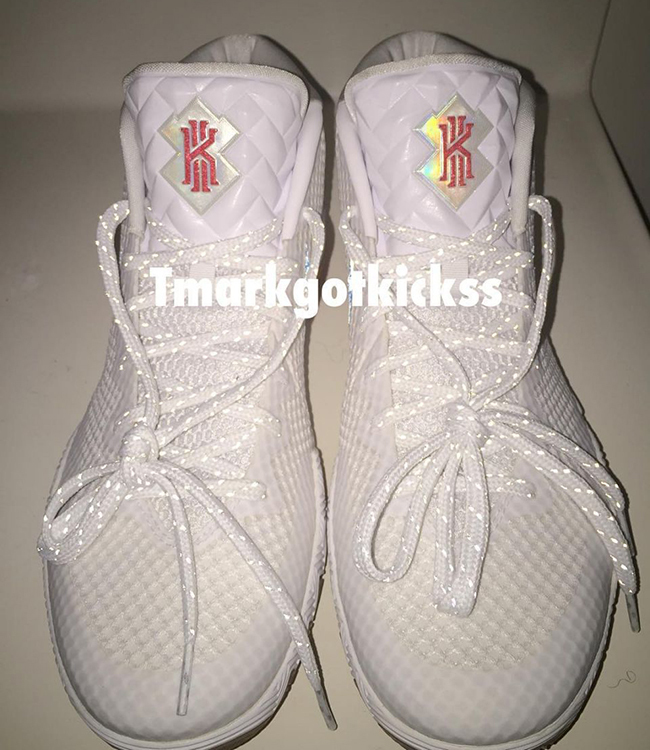 The Uncle Drew edition of the Kyrie 1 comes in a clean white and gum color scheme. 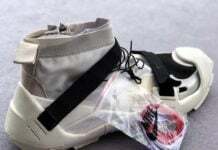 White flows through the base of the shoes and midsole while gum hits the outsole and sole. 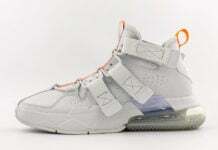 3M reflective detailing is used on the swoosh and speckled through the laces. 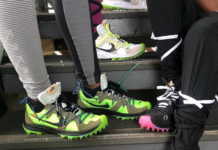 If you look closely, the swoosh is covered in phrases. 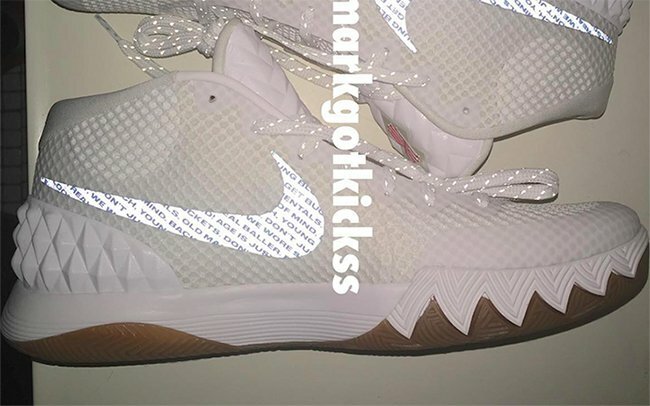 It’s difficult to see what it actually says, but we do see ‘Buckets’ which was part of what Uncle Drew would say in the Pepsi Max commercials (I get Buckets. 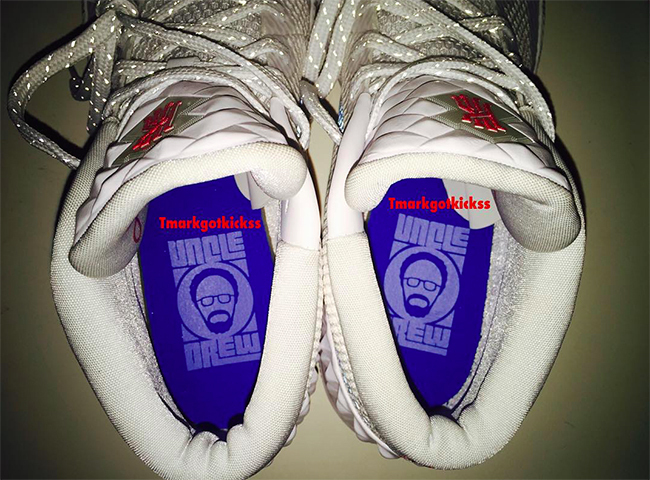 The final detail lands on the insole which shows Uncle Drew on a blue insole. 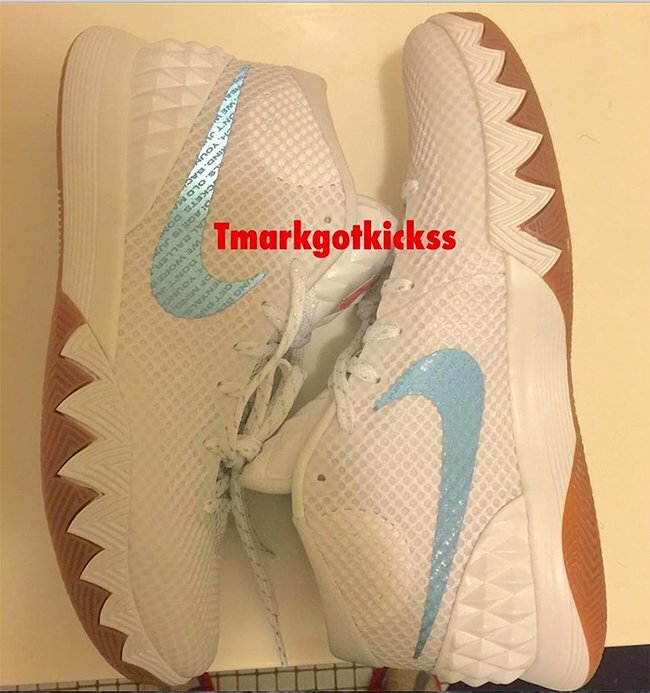 After Kyrie Irving saw tmarkgotkickss Nike Kyrie 1 collection, he decided to ship out one of the two pairs of the Uncle Drew Nike Kyrie 1 to him. 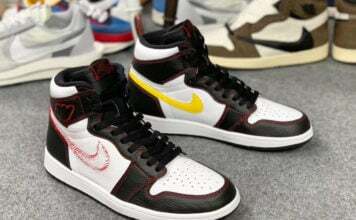 It would be awesome to see this pair release, however we don’t plan on them hitting retailers. You can see additional images of this pair below.